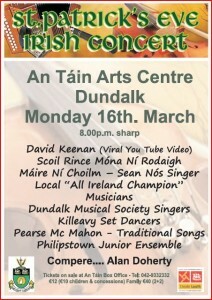 Tickets on sale at An Tain Box Office – Tel 042 9332332. €12 (€10 children and concessions). €40 Family (2+2). 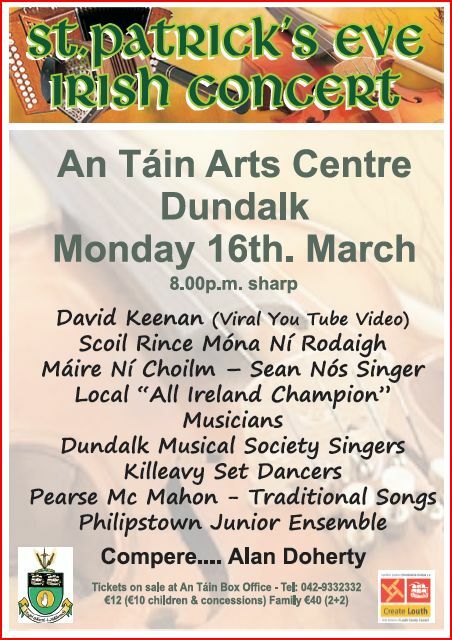 Tickets on sale at An Tain Box Office – Tel 042 9332332. €12 (€10 children and concessions). €40 Family (2+2).